Some weeks the app store has better sales than others, when seemingly everything is on sale, massively reduced or being given away for free. This week we have a handy search engine to help you save money, a premium printing app gone free and the usual selection of quality time wasters to sink your teeth into over the weekend (including an award winning 2D adventure). Apple’s App of the Week is a travel app that promises to net you deals on flights, hotels and cars. Oddly enough, this “smart search engine” usually costs a dollar, and has still managed to get a solid four-star rating on the App Store. Yours, free, for a week. Just like its bigger brother Recordium Pro (which we reviewed last year Recordium Highlights & Annotates Your Voice Recordings [iOS] Recordium Highlights & Annotates Your Voice Recordings [iOS] If you're a student or someone who regularly records lectures, meetings, or music, a new feature rich iOS app called Recordium allows you to manage, highlight, annotate, edit, and share recordings right from an iPhone... Read More ), Recordium Mini is a smart little voice recorder app that dwells on the ability to highlight the parts of your recording that matter the most. The app uses a visual representation of your recording to help you see what you hear, and while it lacks some of the power provided by its larger brother, this is still an incredibly useful apps for study, work or pleasure. The do-it-all Swiss army knife of printing apps has shaved $6 off its iPhone version for a limited time (though the iPad version is still at full price). PrintCentral allows you to print to virtually any wireless printer, not only using Apple’s AirPrint standard (already built into your iPhone) but using a variety of manufacturer proprietary methods as well. Import documents, images and content from webpages before sending them to a printer, over a Wi-Fi or (where supported) cellular connection. I get it – you’re not unclean, you’re just forgetful. At least, that’s your usual excuse for not having cleaned the bathroom for two weeks. Tody is an app that aims to fix your untidy house by nagging you to clean it periodically. It’s really just a repeating reminder app, with a customisable task list that displays the “status” of each task and a record of how good you are at sticking to it. Stratego is a military battlefield strategy game, and one you might remember playing in your pre-iPad days. Like just about every other popular board game out there, Stratego has made the leap to iOS – and this is a rather successful port. With online multiplayer and an offline single player mode for when you find yourself without Internet, there’s never been a better time to sharpen your skills at $6 off. Take to the skies and recreate the legendary Operation Chastise raid on Nazi territory in The Dambusters. Fly your own Lancaster bomber over enemy territory before using the now-legendary twin spotlights method of measuring height, before dropping your bouncing bombs over the Mohne, Eder and Sorpe dams – all of which have been accurately recreated. If you think Flashout 2 looks like a bit of a F-Zero clone, that’s probably because it is. Still, with Nintendo holding most of their franchises by the proverbial, it’s a pleasure to see some other studios take their chances on gravity defying racing games. This one’s usually only a dollar thanks to the use of in-app currency to progress, but it looks great and won’t cost you anything for the meantime. Inspired by Super Hexagon but still different enough to be enjoyable in its own right, Atomic+ is one of those simple, fast-paced action games that has you avoiding bullets and collecting squares before you inevitably succumb to the limitations of your own dexterity and set a new high score. Fun. A beautiful hand-drawn 2D point and click adventure game, The Inner World has been featured in this column in the past and now they’re having another sale – and for good reason. The game just scooped top prize at the German Computer Game Awards, and to celebrate they’re having a $1 sale – grab it now! That’s your lot for another week, don’t forget to check back next weekend for more deals and freebies. Kayak Pro for free that's so good!! So many free apps!! nice! I tried this afternoon to download PrintCentral and AppStore said the app was being updated and I had to wait. Now I try to download at 21:40CST and the price is back up. Whassup??? That's a shame, seems like the technical glitch robbed you of the deal. 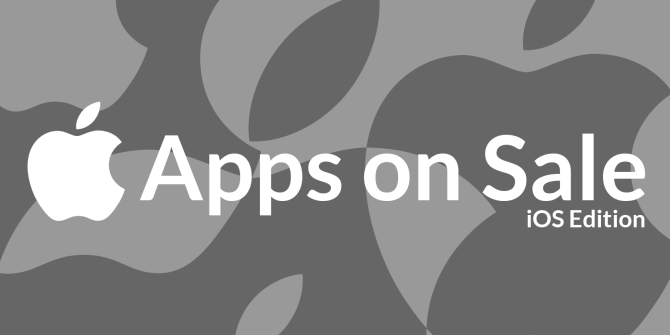 Apps are only on sale for a short period of time, a couple of days usually – though others can last the full week or more. I usually try to find the "freshest" only an hour or so before this is published so that readers can hopefully get some bargains over the weekend. Alas, we can't control when a developer decides to take an app off sale, so sometimes they're painfully brief. Bad luck.